Shh! The fact that I can bake is a secret. Oh, yes. I made brownies in a cupcake tin. With peppermint patties baked in the center. I’d cut one open and show you, but they’re not for you. They’re for company. i did this toooooo! but i put oreo’s in the middle. mine looked just like that:) and they were super tasty! we’ve been enjoying them all week!! Oreos! That sounds delicious! I’ll have to try that soon. I’m so glad that you’re enjoying what you’ve read and that you came my way via Abby. Interesting – how did they come out? They look good, but I haven’t been able to taste them. 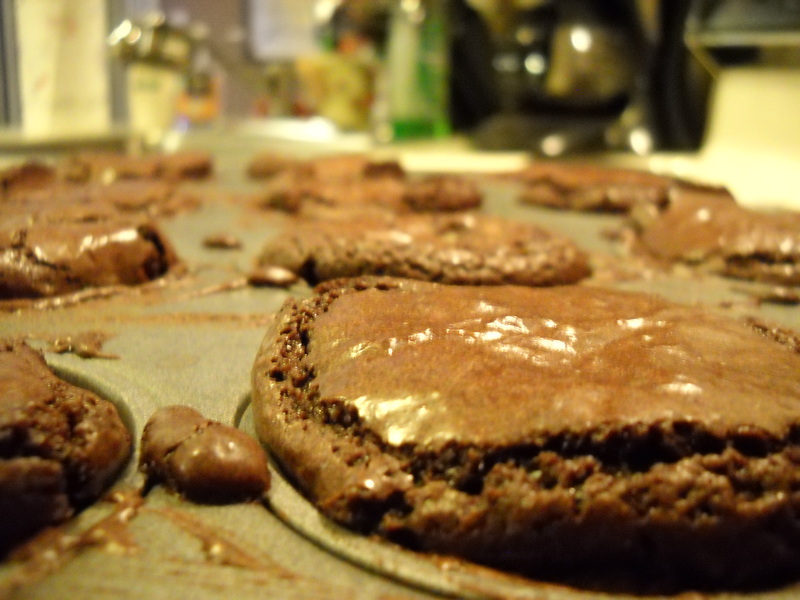 From what I could get off of the knife I used to loosen them up, though, they’re fudgy like I hoped they’d be. They came out dense and look a little like popovers, which is what I was going for.